Weakness(es):Can use some charka, less charka use, less the effect. Description: Hiraishin no Jutsu is a ninjutsu technique utilized by the Fourth Hokage. The technique gave Yondaime his nickname "Konoha's Yellow Flash," due to his bright yellow hair and his ability to traverse great distances in the blink of an eye. A space-time jutsu like Kuchiyose, Yondaime first needs to mark his destination with a shiki (rite) first, he can then activate the jutsu to come to the mark. He can apply this to a weapon such as a kunai, and when thrown or used, he can instantly travel to it. He can also apply the mark to a touched area, such as his opponent or some other surrounding feature. No matter where the opponent goes, Yondaime can travel to the mark to kill them. Description:When you use your Sword it turned into an Unstoppable Wind/Lightning Mixture and can cut through anything.It can also block a wind blade. Description: Creates a dragon formed from wind. The dragon looks like a large serpent, a traditional Chinese dragon that is twenty feet long. The dragon has a red mane and the rest of his body borders light blue. The color is not distinct because the wind manipulates it from its color to transparency. The dragon can shoot Kaze Kongou from its mouth. Description: Named after a mythical creature, Minato uses his sword to blow a concussive wind that is imbued with his chakra. When his opponent is caught in the wind, a tornado will raise them into the air and hold them with the chakra. The wind will then begin to cut the target with the sickling winds. Description: Named after a mythical creature, Minato uses his sword to blow a concussive wind that is imbued with his chakra. 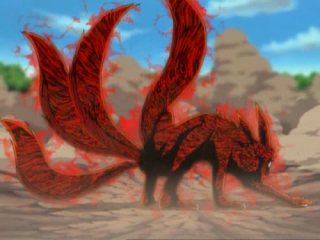 This technique is a bigger version of the normal Kamaitachi no Jutsu, having the ability to cause a great amount of cutting damage to the nearby area. Description: Using his sword, Minato will blow a strong current which will cover the surrounding area in dust. This dust will serve to loosen the footing for any opponent who walks nearby. Description: Minato used the air to fly him place to place. Description: Taijutsu that focuses chakra in the fist and releases it in one sudden bursts.It feel like wolves is biteing you. Description: After forming the needed hand seals, Minato will send a strong gust of wind towards his target. When acting in conjunction with another thrown weapon, the wind can increase its power and deadliness. Description: Tatsu no Ooshigoto is a Ninjutsu technique utilizing the Wind Element. Minato will swing his Sword into the air, causing the sky to grow dark and stormy. These clouds will create a cutting tornado that will drop down on top of his target. Description: It's a counterattack, When Minato used this move Minato will glid to his opponent and if he touches the oppnent, he will teleports behind them, angrily throw a thumbs down and opponent explode in a ball of Wind for considerable damage. Note(s):Made By Osuma For Minato Uzumaki. Description: This Jutsu is a Genjutsu technique which causes the ninja's opponent to be enveloped in a Bloody Wind Storm. While in the Bloody Storm, the ninja will be cut up by Bloody Shard's. Weakness(es):Minato can not hold this Genjutsu for long, and it drain his charka. Weakness(es):Minato only can do this twice a day. Elemental Affinity: Lightning and Wind. Description: It's a Sphere of Storm's. but it's in a weaker state. It's only in Akai-tora form that it is in it full power. Weakness(es):It drain almost all his charka. Description: It's a Sphere of Storm. A storm will arrive which will help the user hit his oppenet It's Thunder Storm in his hand which can cause Massive Damage. Weakness(es):Only can be used when Minato is in his Ten Tail's stage. Weakness(es):Only can be used when Minato is in his Ten Tail's stage. And it will hit me and my opponent causein Massive Damage. Description: Powered by Akai-Tora chakra, the Akai-Tora Chidori is formed from a collection of dark red chakra electrical and has a light black tinge to its normal color. It is far more destructive than the regular Chidori but must still be delivered at close range. Description: Powered by Akai-Tora chakra, the Akai-Tora Rasengan is formed from a collection of dark red chakra bubbles and has a light black tinge to its normal color. It is far more destructive than the regular Rasengan but must still be delivered at close range. Description:When this jutsu is used, a strong wind will first be felt around Minato and the opponent. The wind around Minato will form into "Wind" Blades, infused into the wind from Minato's chakra, similar to how Minato Mother Temari puts chakra into her wind from her fans. Then the attack will basically be shot toward the opponent. The blades can also only take a single-direct path, but can be controlled enough for each blade to be launched one at a time or simultaneously. Description:A complicated jutsu that incorporates Kiokure creating a vacuum of air at his target's location by compressing his wind chakra at a specific location and then releasing it, making it become unstable and explode at the user's whim. S-rank. Description: Creates a ball made completely of shadows. Once it hits the opponent it will attache it self to the opponent and will blow up in a matter of minutes. Description: Minato runs at high speeds, he then becomes one with his shadow and attack the opponent slicing them from all angles. Description: Forms 2 giant hands made of shadows. One hand grabs the opponent and throws them down. The other hand puts all of it's force into a fist and punches the opponent. Description: Minato flies into the air with flight. He then proceeds to walk on the air. Weakness(es):Can only walk on air for about 5 minutes. 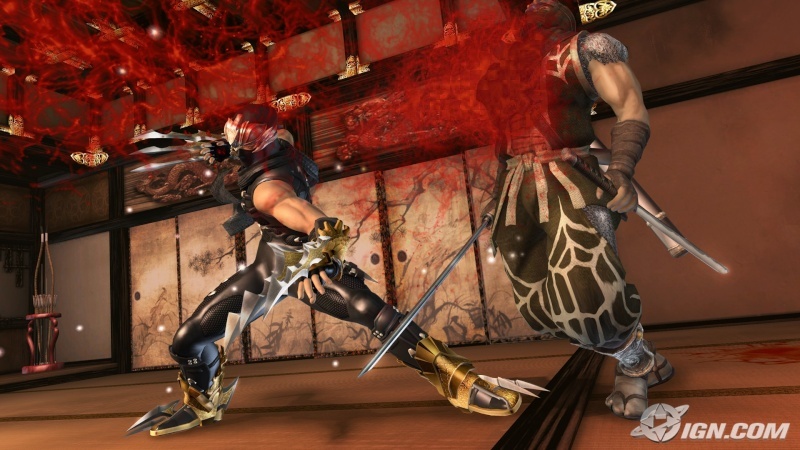 Description: Minato takes a deep breath in and he let's it out in a loud roar that sends fire straight at the opponent. Weakness(es):Can only hold for about 30 secs. Description: Minato concentrates and then he puts his fist out forward and fire in the shape of a blade goes towards the opponent. Description: Minato run at high speeds past the opponent and lets a huge sound wave hit the opponent. Description: Minato will let out a huge roar that that will disrupt the opponent charka. Description: A Rasangan that is letting out a long screaming noises. Description: this technique is used in conjunction with his two swords. Drawing his two swords together, Minato will form a ball of electricity which he can hurl at his opponent. Description: Ninpou: Rairyuu no Tatsumaki is a Ninjutsu technique used by Minato Uzumaki. One of Minato many lightning based jutsu, this technique is used in conjunction with his two swords. Drawing his two swords together, Minato will raise them into the air and draw lightning down upon his body. The current will be contained within and around Minato's form. He will then begin to spin in place forming a whirling vortex of wind and electricity. The vortex will take on the form of a dragon and strike out against his opponent. Even if the attack doesn't directly connect with his foe, the lightning can jump from the vortex to hit a nearby target. Description: Katon • Zukokku is a Ninjutsu technique used by Minato. After releasing the Fire elemental from his body, Minato will release a large flaming mass from its mouth. This mass will quickly spread along the ground and race towards its target, burning anything in its path. Description: Katon • Haisekishou is a Ninjutsu technique utilizing the Fire Element. After forming the needed handseals, Minato will expel an ash from his mouth. This large cloud begin to envelope his foe and when Minato clicks his teeth, the cloud will ignite in an explosion. Description: Katon Ninpou • Hibashiri is a Ninjutsu technique utilizing the Fire Element. To utilize this technique, Minato will generate jets of fire which will race towards his target and surround them. This fire can be made more powerful with the introduction of wind from a wind element attack. Description: Fuuton Ninpou • Kami Oroshi is a Ninjutsu technique utilizing the Wind Element. To utilize this technique, which Minato will use to generate a whirling vortex of wind which he can send snaking towards his target. Description: Tornado Lightning is a technique. Using some form of handseals, Minato can generate lightning from his palms which he can whip around to destroy his surroundings. Description: Minato doing the the Flying Thunder God with a large Burning Flame behide him. Description: Minato doing the the Flying Thunder God as the speed of light. Description: Minato doing the the Flying Thunder God with the speed of sound behide him.